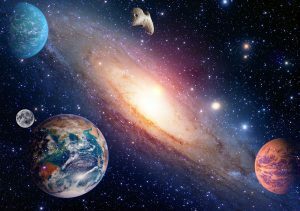 One of the most popular shows on television, the Big Bang Theory has created a buzz around science thanks in part to the quirky antics of theoretical physicist Sheldon Cooper, as portrayed by actor Jim Parsons. Far from Gino the Neutrino, real life physicist and Nobel Laureate, Art McDonald has been working to unravel the mystery of the Big Bang. Like the character of Dr. Cooper, he believes neutrinos hold some answers to understanding the evolution of the universe. Almost massless and so penetrating that it took many years for them to even be observed, neutrinos are particles that are produced in enormous numbers in the core of the Sun. They were observed with a ten-storey tall detector 2 km underground with a core of 1000 tonnes of heavy water loaned from Canada’s reserves and known as The Sudbury Neutrino Observatory (SNO). 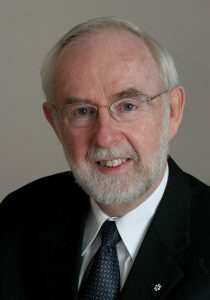 In 2015 McDonald’s work earned the highest honour with a Nobel Prize in Physics, an award which he shared with Japanese physicist Takaaki Kajita. “I am very conscious of the fact that I was the director and singled out for the prize but the work was done by hundreds of people, including scientists from Chalk River. Two-hundred and seventy-three authors including over two-hundred students and post-docs,” according to McDonald. McDonald’s achievements were recently honoured again, this time by the Canadian Nuclear Society (CNS) where he was presented with the the prestigious WB Lewis Award. The award, named after the physicist who was a leader in the development of the CANDU reactor, is given every year to a scientist has made a significant contribution to the field of nuclear science. McDonald, like Lewis, worked in Chalk River and had the opportunity to meet the award’s namesake. “I didn’t work with him but I knew him and particularly I knew what his impact was on the nuclear industry. He was a very intelligent person who brought innovation to the field,” according to McDonald. An innovator himself, McDonald’s work has taken him deep beneath the surface of the Earth at the SNOLAB in Sudbury, Ontario to avoid the cosmic rays that would otherwise interfere with measurements. In this ultra-low radioactivity laboratory, researchers are working on further understanding the universe, how it has evolved and the dark matter that holds our galaxy together. Attracting talent from all over the world, the SNOLAB is determined to make Canada a world leader in particle physics and to help train the next generation of scientists. For McDonald, the next generation of science will include investments in nuclear science and nuclear energy. Thanks to the work of Dr. McDonald and others we are one step closer to understanding the origins of our universe and how it evolved.